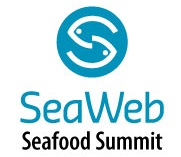 SeaWeb Seafood Summit, the world’s premier seafood sustainability conference, taking place June 18-21 at Hotel Arts in Barcelona, Spain, will feature over 100 speakers from all facets of the sustainable seafood movement for up to five days of learning, networking and problem solving. Summit speakers and registered attendees include global representatives from the seafood industry, the conservation community, retail/foodservice, academia, government and the media. “This year, we’ve expanded interactive formats across more sessions,” says Brenna Hensley, event director for Diversified Communications, which produces the Summit in partnership with SeaWeb. “This forum vastly benefits from wide participation and input from diverse stakeholders.” Among the educational sessions planned for the week, many are formatted as engagement-driven panels or workshops – particularly those that aim to unpack or troubleshoot challenging and emerging issues. On Tuesday, 19 June at 11:15, the plenary panel will aim to answer the question: Is Spain Really as Important as the Global Seafood Sustainability Movement Believes? In this session, panelists will examine the key factors that explain and drive the success of the global seafood sustainability movement through the lens of global consumer appetite for mature (whitefish, small shrimps, salmon, cold water crabs) and non-mature (octopus and squid) markets. On Wednesday 20 June at 9:00, discussions will continue with a plenary session titled Building Socially Responsible Seafood Supply Chains Through Worker Voice. This dynamic, multi-stakeholder session will explore the concept of worker voice, a term that encompasses both grievance and engagement mechanisms. The discussion will cover why worker voice is important, and crucially, how to incorporate it into seafood supply chains. Immediately following, at 10:30, is another panel titled Maximizing the Whole Fish: How By-Products Can Increase Food Production, Value, and Sustainability. Panelists will challenge the audience to look at fish guts, heads, and skins in a whole new light — as valuable raw materials key to sustainable seafood production. They’ll use real-world examples to show how by-products can boost a business’s bottom line and will share the latest seafood by-product trends and opportunities. Also at 10:30 on Wednesday 20 June, in a session titled Fishery Improvements Towards Sustainability in the Mediterranean Sea: Medfish a Collaborative Approach, a panel of experts will discuss the alarming deterioration of fish stocks and marine mammals in the Mediterranean Sea, including how this trend came about and what can be done to reverse it. Specifically, the panel will expound the Medfish Project, which is uniting fishing fleets, public authorities, scientists, NGOs and markets at a regional level to address this shared concern. On Thursday 21 June at 11:15, the engaging panel format kicks back up with a policy discussion. In a panel titled Case for Action: How Science-Based Fisheries Management Requirements Are Good for the Oceans, Business, and the World, a diverse array of U.S. and EU seafood stakeholders will critique their respective regulatory standards, including the U.S. Magnuson-Stevens Act and the EU Common Fisheries Policy. The discussion will cover the positives and the negatives — how certain regulations have ushered in both ecological health and economic prosperity, where others have fallen short, and how certain rollbacks on the table now could pose overfishing risks. Other hot topics to be covered include the massive growth of aquaculture and how to finance and optimize it; traceability benefits, limitations, and challenges; the plastics problem; and consumer consumption trends, including the influence of chefs. Attendees can extend their experience by attending the seminar before conference programming begins (free for full conference pass holders this year) and/or by participating in a post-conference field trip for an additional fee. Registration is now open and details can be found at http://www.seafoodsummit.org.